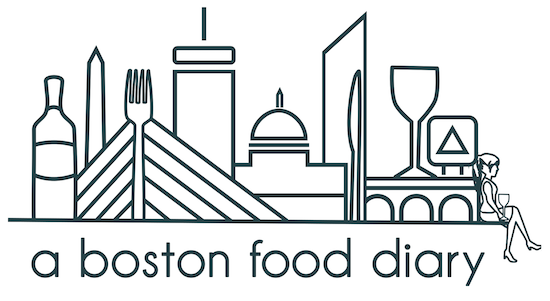 Monday, here at A Boston Food Diary, means that it's time for another edition of Locally Featured! As I explained last week, I'm looking for locally based, small food companies who are making incredible products full of quality ingredients, as well as true food passion. I am especially excited to bring you this weeks featured company as their product line is close to my Italian heart- Pasta! Specifically that amazingly delicious pastas created by the ladies at Nella Pasta. Nella Pasta began selling their incredible pastas to the public in May, 2009 and have been growing their line and their business ever since now including both fresh "dry" pasta ready for you to prepare at home, and delicious pre-made pasta entrees that can be enjoyed hot or cold-dependent on how long you can resist them. I have only eaten them cold if that's any indication for the quality of these great products. The story behind Nella Pasta is really a showcase in "living the American dream", co-founders Rachel and Leigh met just a few years ago, bonding immediately over their shared love of food, as well as the fact that they had both taken time to study in Italy during their college years, just blocks away from each other. They decided to take the leap and open their own company celebrating their true passion in food. After speaking to Rachel and Leigh even just for a moment or two it is impossible to miss not only their passion for their product line, but their respect for food in general. Their mission statement is simple and clear: "Our mission at Nella is to create healthy, fresh pastas using local organic ingredients whenever possible." A quick read of their website enforces this as their weekly menu lists ingredients from a variety of local farms, ensuring that every dish is as fresh as possible, celebrating the flavors of the season. As a small company it could be said that it would be easier for the owners of Nella Pasta to find a general wholesale distributor to purchase their ingredients from, however they have chosen to find the freshest quality knowing that this would translate into a better end product for their customers. They are correct. When eating Nella Pasta every flavor pops and every texture is complimentary, showcasing the real, natural ingredients used. This past weekend I had the opportunity to try two varieties of Nella Pasta- the first was a ready made entree consisting of wheat and ground flax seed linguine mixed with really beautiful grilled broccoli rabe from a local farm, scallions, sesame seeds and oil, and chopped peanuts. I could barely wait to rip the lid off of this amazing creation that they titled Asian Noodle Salad. I was right to put my will power on hold and I dug into this as soon as I possibly could (i.e. as soon as I got to my desk!). I'm actually not sure where to begin with this one. The flavor combination was unbelievable. The first thought that I had was "ooh it's like lo mein! Healthy lo mein!" but as I continued to eat I knew it was so much more than that. The sesame flavor was strong, but not overpowering in the face of the beautifully bitter broccoli rabe. The pasta was hundreds of times more flavorful than your average pasta with great notes of the flax seed and hearty wheat. 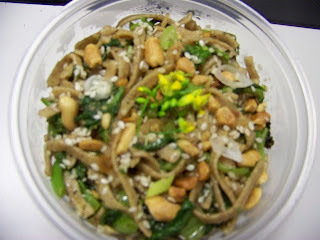 The scallions added that lovely onion flavor, and peanuts added great texture variation. This was a perfectly beautiful dish, both taste wise and visually speaking. The ladies at Nella Pasta certainly know how to put together a dish! While their prepared entree was obviously out of this world, I was equally as excited to try out their fresh ravioli (spinach variety) and make a dish of my own with it! Not wanting to overpower the flavor of the pasta itself (especially after that great Asian Noodle Salad) I made a simple sauce while I waited for the water to boil for the raviolis. I started by chopping three cloves of garlic and adding them to a warmed saute pan with a twirl of olive oil. 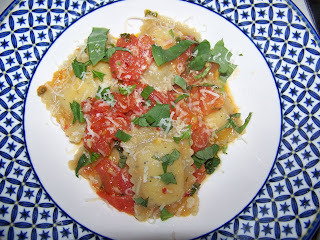 As they became aromatic in my kitchen, I added about three leaves of fresh basil chopped. I chopped a lot more than that but put the rest to the side for garnishing later. Then I sliced and quartered two tomato's that I picked up at the Farmers Market in Dewey Square last week. I added these once the pan was good and hot with the garlic and oil, and cooked it all together, with the basil, a sprinkle of garlic powder, salt, peppery and a 1/4 cup of dry white wine until the tomatoes were soft and a sauce came together. At that point the ravioli's were cooked (took about 2- 2.5 minutes for them to cook) and I added them to the sauce. After serving, I put a quick sprinkle of Parmesan cheese over the top with lots of fresh raw basil and dinner was served. Local really is better. Nella Pasta ravioli's were amazing. Light, while still being decadent with their ricotta cheese filling, full of flavor, but a perfect vehicle for sauce as well. I was happy as a clam chowing down on this meal of fresh, local, beautiful products! 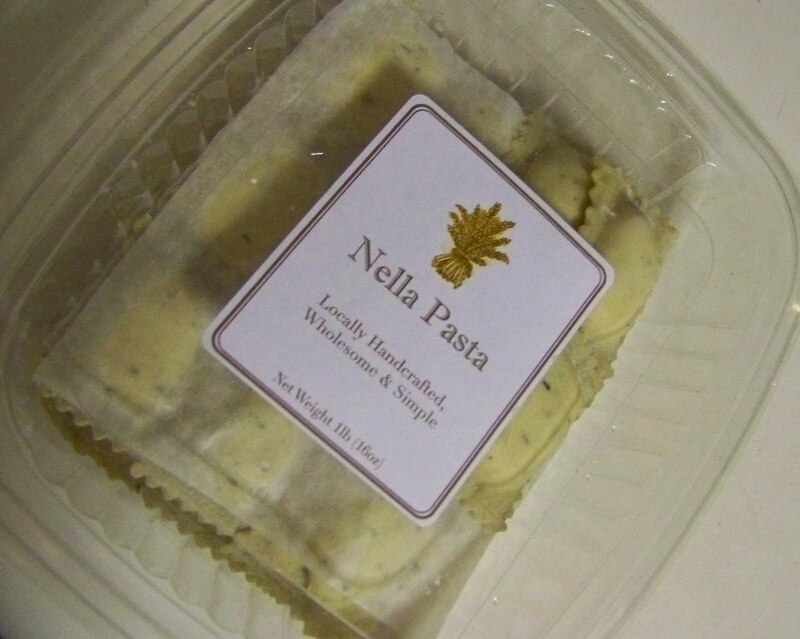 Nella Pasta is currently primarily sold at Farmer's Markets (I always visit them at the Farmers Market at the Pru on Thursday evenings), but rumor has it that soon we'll start seeing them in boutique style markets (YAY). I urge you to check out Nella Pasta- I can assure you that their products are chock full of nutritious, wholesome, local ingredients. I have to give a big hat's off to Nella Pasta Their product line is exactly what we love to see here at ABFD! Now I need to plot out my next purchase from Nella...I feel a pasta craving coming on! Reader question: What is your favorite type of pasta? 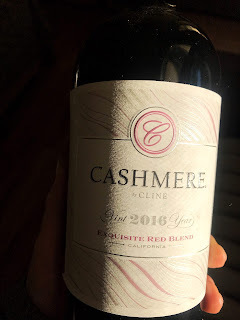 Favorite way to serve it? I drive all the way from Connecticut just for the Nella Pasta! It is the best ever. I Love It!! Oh my YUM! 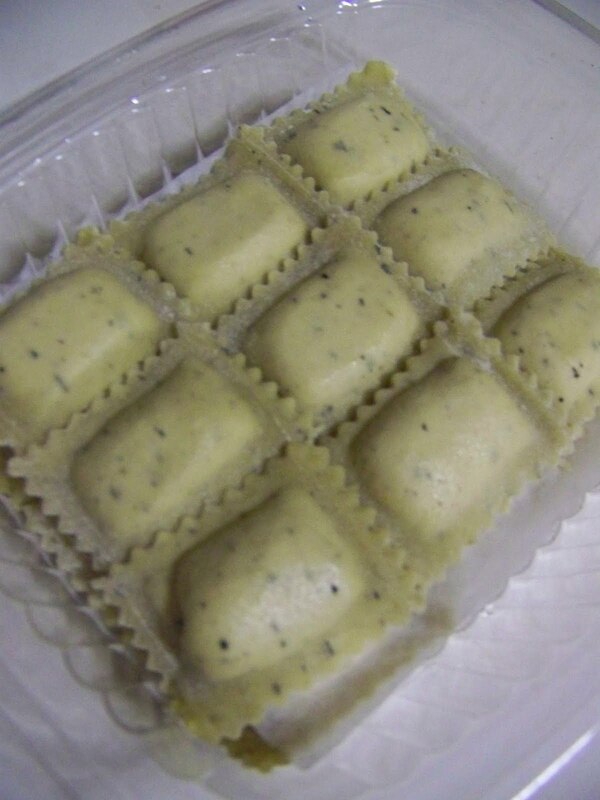 Seriously, that ravioli looks dangerously good. I'll definitely have to give them a try. Loving this section by the way! Anatale- I don't blame you! I would drive that distance as well for Nella- it is DELICIOUS! Thanks for posting! SBK-the stuff is really fantastic- you have to check them out at the Pru Farmers Market on Thursday! And of course the ladies are fantastic! Great post on Nella Pasta! I love them, too. I always buy a big container of their prepared pasta at the Pru Farmer's Market thinking I'll eat half and save the rest...but always eat it in one sitting. 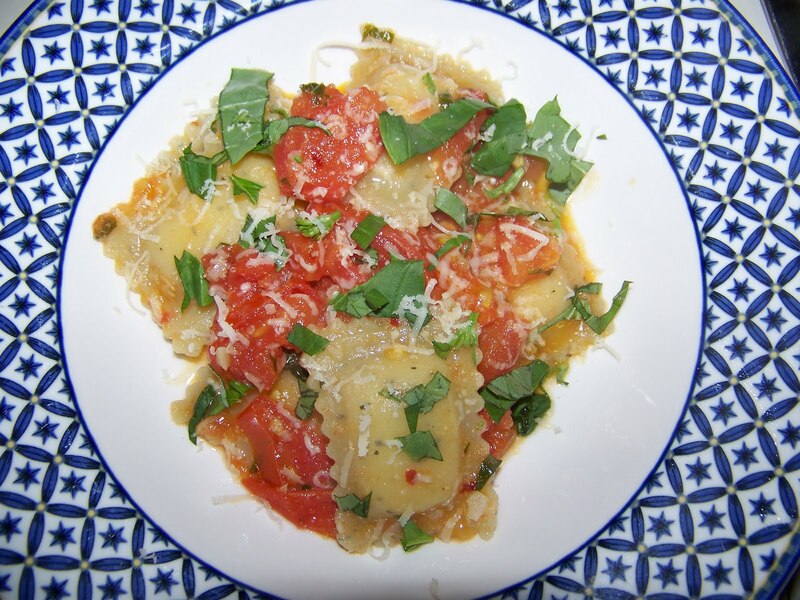 :) I've got a batch of their frozen ravioli in my freezer right now...yum!